From this point on, however, it also has a free, ad-supported radio version. Unfortunately it’s only going to be available in the US for the foreseeable future (Google has yet to announce when it will go international). The free tier is available on the Web today, and will be rolled into the Play Music apps for iOS and Android before the end of the week. Basically what it entails is a large selection of pre-determined playlists (or “curated radio stations”, as Google puts it) from which you can choose one that suits your mood or the activity you’re doing. The songs will stream to you free of charge, but there may be ads between them. You don’t choose what songs go into each playlist. Instead, that job is done by “music experts, including the folks who created Songza”. You can browse the curated stations directory by genre, mood, activity, or decade. You’re also able to search by an artist, album, or song in order to instantly create a station of similar music. 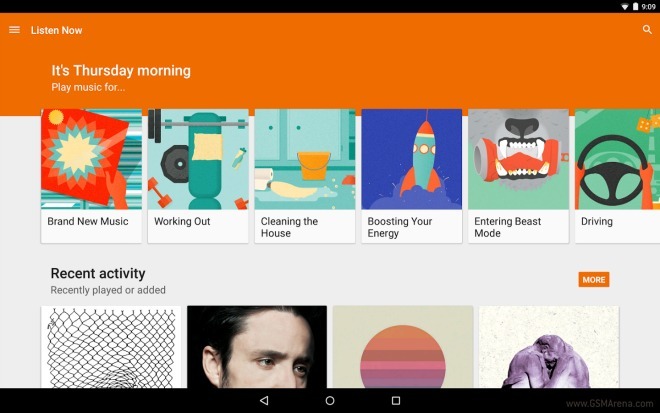 You’ll obviously get more features if you subscribe to Google Play Music All Access. Playing without ads, making your own playlists (by individually adding songs into them), listening offline, and listening to songs on-demand are just a few of the perks. In addition, you get ad-free music videos on YouTube, along with offline and background playback capabilities for them. Of course you can still store up to 50,000 songs from your own music collection ‘in the cloud’ on Play Music for free, even if you don’t subscribe.